The hardest working Vending Units in the industry! 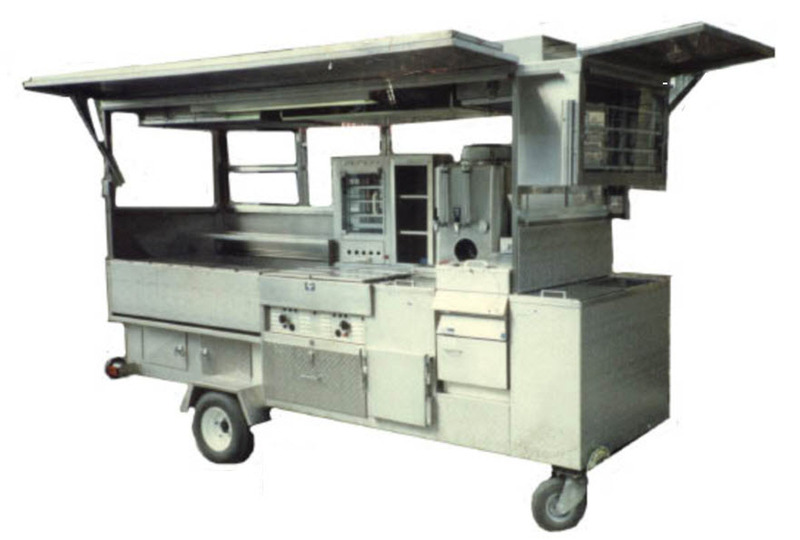 Our 800 Buy Cart Vending Combination Trailer/Cart allows you to offer a full range of food and drinks. Change your menu to serve breakfast, lunch and dinner each day. Worksman Trailer/Carts are fully customizable to suit your exact needs. 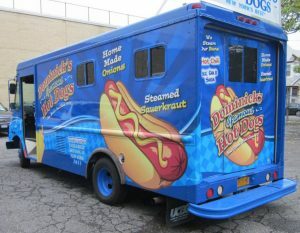 All of our vending units are custom built in our New York City Factory. Making us proud to say “Made in America”! Our factory staff is committed to welding, building and assembling the vending product we can for your ultimate satisfaction. So the next time you make a purchase, ask yourself if “Made in the USA” means something. At Worksman Cycles we have always known that “Made in America” Matters! We’ve known this since 1898. We have not lost our way. 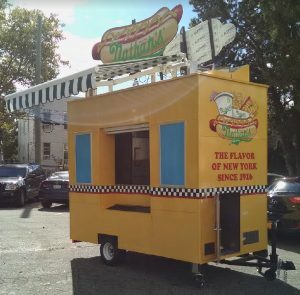 Combination Trailer Hot Food & Ice Cream with custom graphics and awning.